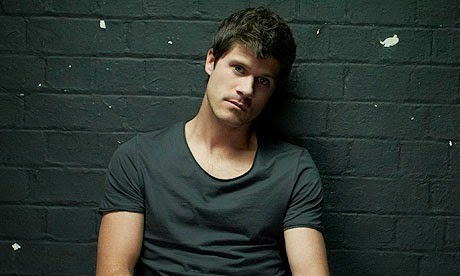 Occasionally the wider music community takes a peep into the world of Seth Lakeman but all they will usually see is a focussed and driven artist pursuing his passion for traditional sound and song. The respect from his peers and loyal fan base is intact, with each tour and project sealing the pact between artist and audience. Seth’s now annual visits to the West Midlands have tended to rotate between Birmingham and Black Country venues in Bilston and Wolverhampton with a packed Town Hall this time welcoming him to the heart of the Second City. What was on offer was the usual high quality serving of flowing fiddle, stomping sound and a carefully crafted collection of compositions. Seth is touring this year to promote his new album WORD OF MOUTH and skilfully weaved a set list strategically to support this release alongside old favourites which have formed the bedrock of his live shows over the years. A Seth Lakeman show is all about a switch of tempo and from the reaction of this Friday night audience, there was only going to be one winner as a usually conservative Town Hall crowd removed their shackles for a dance. Having seen Seth perform on countless occasions, a preference has long been developed for his up tempo material and to perfect cue, ‘Colliers’, ‘Kitty Jay’ and ‘Race to be King’ all raised the temperature and sent ripples of activity around the venue. 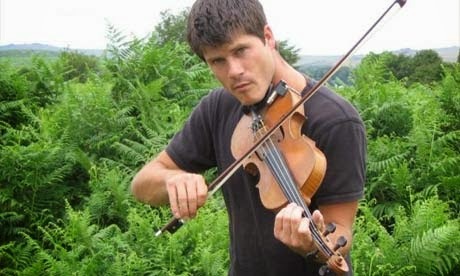 Without being too crude, Seth Lakeman is a ‘red’ hot fiddle player and is at his best when orchestrating a rousing sound either solo or leading his band. For what appeared to be the first time in my book, Seth was the only Lakeman on stage with Jack Rutter taking over general guitar duties alongside Cormack Byrne on percussion and regular in-demand bassist Ben Nicholls in his usual stalwart role. Lisbee Stainton continues to balance her solo career with a now regular place in the band adding banjo, vocals and harmonium. A striking visual observation of the band on stage is that rarely do any consecutive songs have the same musical line up present as instruments are exchanged and individuals stand aside on certain numbers. On one of the evening’s stand out slower songs, Seth and Lisbee excelled as a duo on ‘White Hare’ and there is a no more stunning atmospheric feel to the gig than the lights dimming and then shining intensely on Seth as the solo fiddle player on stage. For what was believed to be the first time witnessed at a Seth gig, he utilised the opening artist and brought back feisty Aussie roots rocker Kim Churchill to the stage twice to add some glorious blues drenched harp most notably to a rousing number from the new album titled ‘Last Rider’. Kim’s opening thirty minute set was perfectly planned for a Friday gig with a dose of fast paced roots rock delivered in a one man band style. Kim was last seen in the city opening for Billy Bragg on a Sunday night but this time he tuned in more to the upbeat vibes of the expectation. Seth’s role in powering a new generational appetite for exploring traditional song saw him explain the ethos behind the Full English project and played a song under that banner called ‘Stand By Your Guns’. He also delivered an impassioned version of a Jim Radford song ‘The Shores of Normandy’ amidst a respect to the 70th anniversary of the D-Day landings. An appreciable audience gave these songs their full attention and in contrast helped Seth with a chorus contribution of “Raise your glass to the one you love” on ‘Portrait of My Wife’. This gig by Seth Lakeman was business as usual with the added bonus of Kim Churchill’s contribution leading to a slightly different sound on a couple of numbers.Business as usual in Seth Lakeman’s book is an exceptional night out with an artist who entertains, enthrals and embraces a traditional sound in a contemporary manner. The Town Hall in Birmingham certainly knows a winning formula.